I had an awesome craving for guacamole over the last week and today, I gave in. I decided to not only make a batch of guacamole but I went in on some fresh salsa too. Since I didn’t post an installment for last week’s installment of Tuesday Tastings, I figured this would be a great opportunity to offer a two-fer. One thing I love more than anything is fresh fruits and veggies. Individually, they’re great of course but it’s when they are combined, it makes for a near heavenly experience. One prime example of that is salsa. 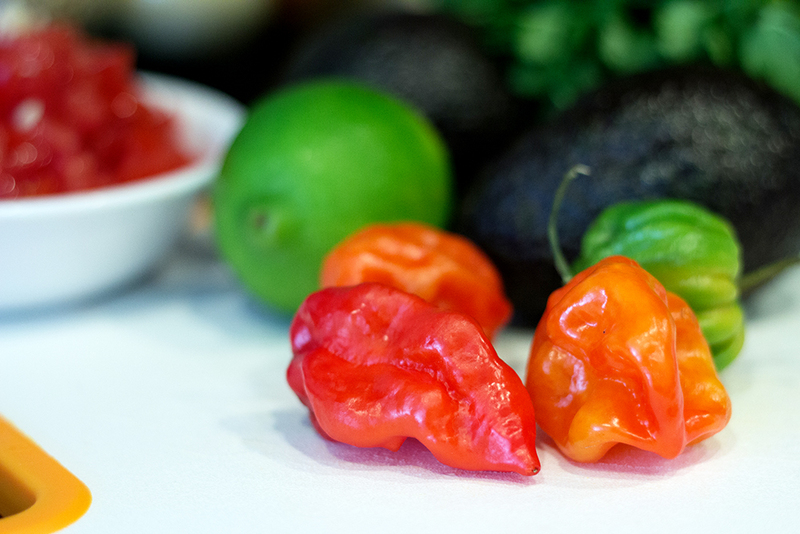 The rich flavor of the tomato and crisp crunch of the red onion mixed in with a bit of tang from the lime And let’s not forget the habanero adding a blast of heat and a touch of sweetness–ooh I just can’t get enough. 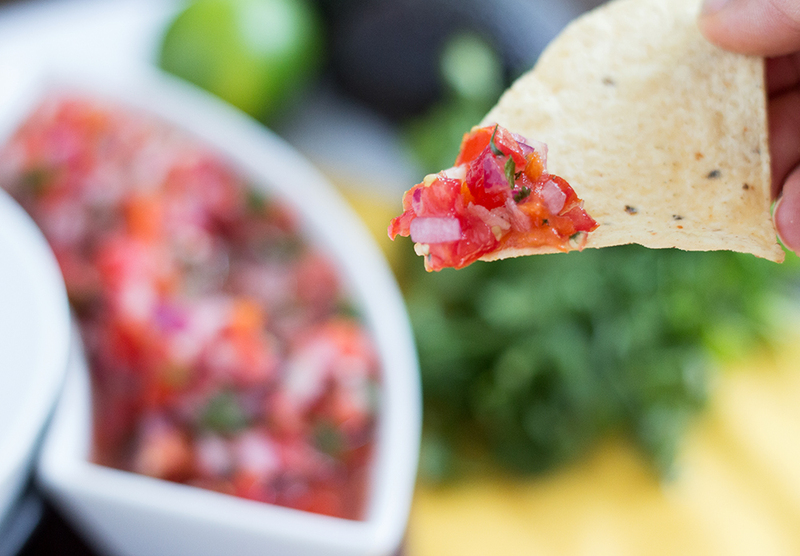 IMPORTANT: This particular salsa is not exactly for the faint of heart. If you don’t like too much spicy, leave out the peppers altogether or opt for a jalapeno which is a little milder (and leave out the seeds) or even milder, a Serrano pepper. 1. Dice the tomatoes & onions which should make about 3/4 cup of onions and 1 cup tomatoes. 3. Mince the garlic and shred the cilantro by pulling it apart with your hands. 4. 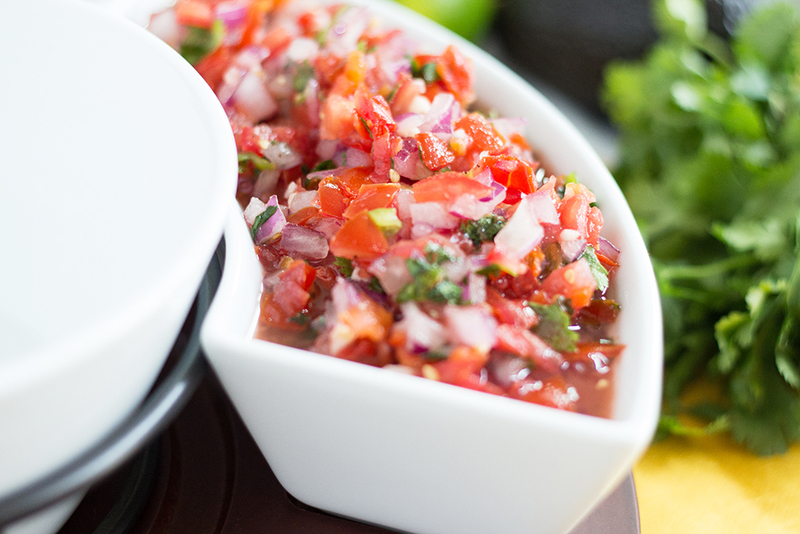 Combine the tomato, onion, garlic & cilantro in a bowl and squeeze the juice from both limes into the mixture. 5. Add sugar, salt & pepper and mix well. Squeeze in more lime juice and add salt to taste. 6. Mix in the peppers and chill in refrigerator for at least an hour before serving. *Campari tomatoes are not specifically required with this recipes however, I tend to favor campari and roma tomatoes in most of my recipes because of their rich flavor. The taste is more distinct than your basic tomato but please use whatever tomato you like. 1. Cut the avocados in half and save the pits. 2. 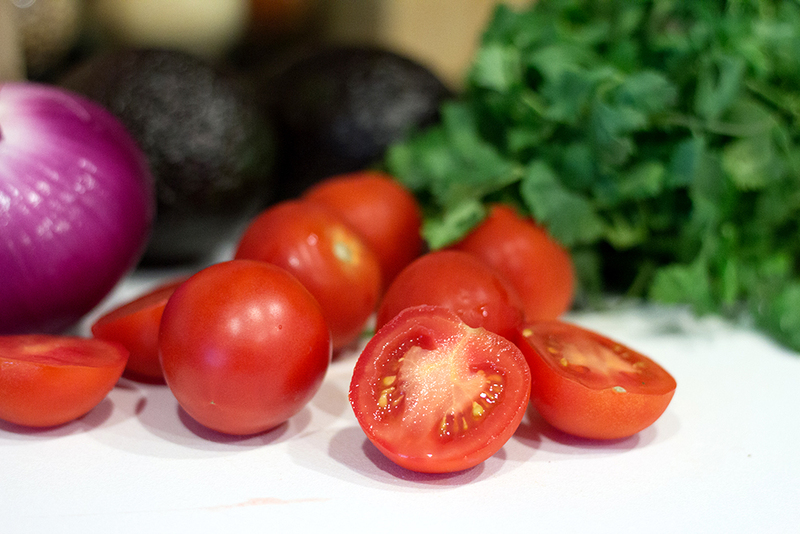 Cut the tomatoes in half and scoop out the juicy flesh in the center and discard. 3. Dice the tomatoes and combine with the onion and garlic in a small bowl and mix. 4. Add the avocado and mash nearly to your desired consistency. Squeeze the juice from lime the into the mix and add the salt, pepper & cayenne. 5. 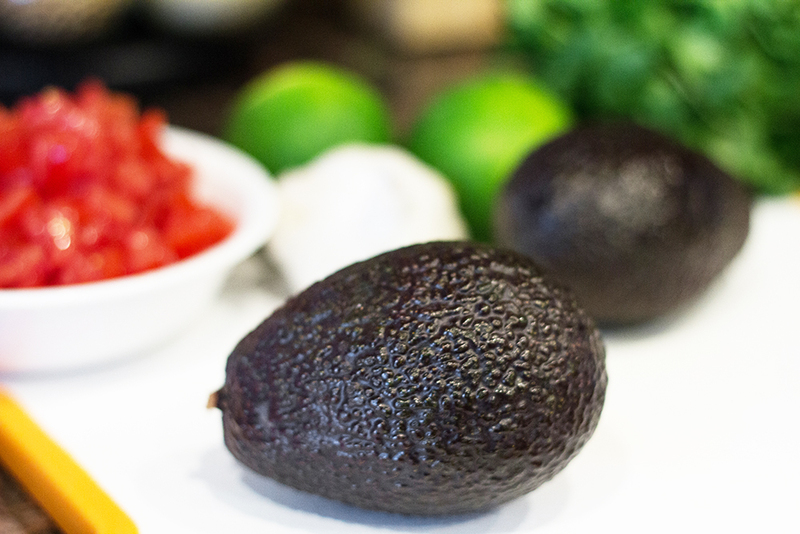 Mix and mash until your guacamole reaches your desired consistency. Add more lime juice and salt if desired after tasting. 6. Pull apart and shred the cilantro with your hands and fold into the guacamole. Enjoy. 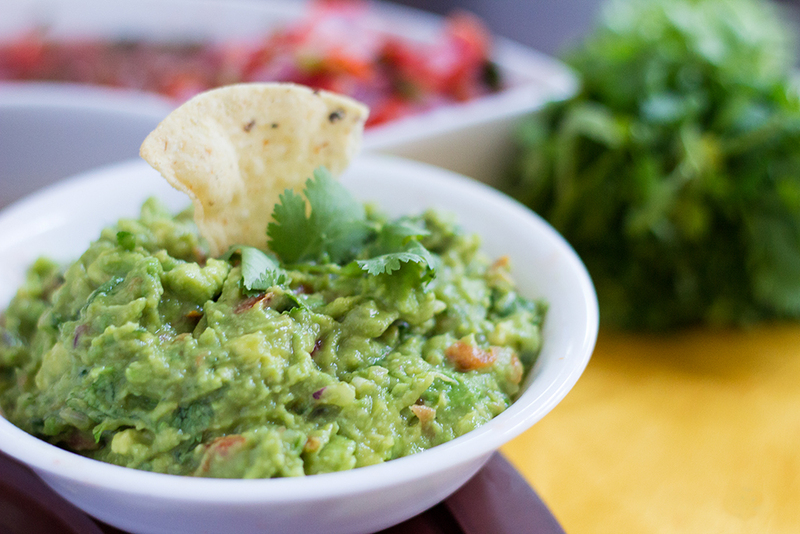 If storing in the refrigerator to chill for an hour or so, add the pits back into the guacamole, squeeze a bit of lime juice on the surface of the mixture and cover with saran wrap pressed down onto the guacamole. This will keep the guac from turning brown on you before you’re ready to enjoy it. Mine never gets the chance to turn brown because I eat it as soon as it’s done. lol!~~~A Note from PrettyChef: I’m one of those people who don’t measure when they cook as cooking is something that you feel. For all my recipes, I work with spices and ingredients that I’m very familiar with so that I can always achieve the texture, taste, color & smell that I’m looking for as the end result. With that said, all measurements provided in the recipes on this blog are approximate.